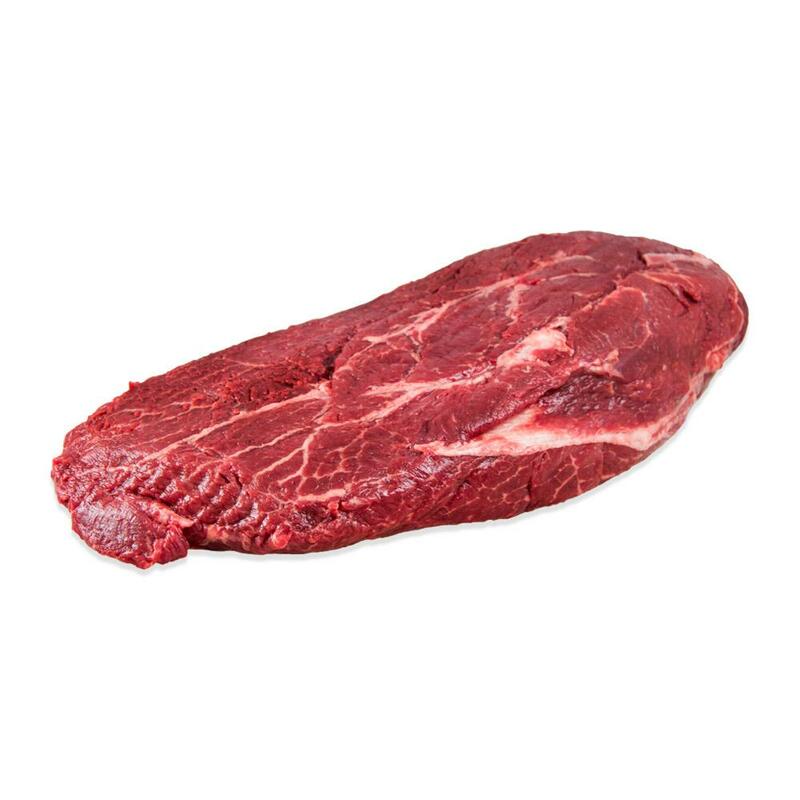 Cut from the shoulder (chuck), the flat iron is a unique portion that is more tender than the surrounding muscle. 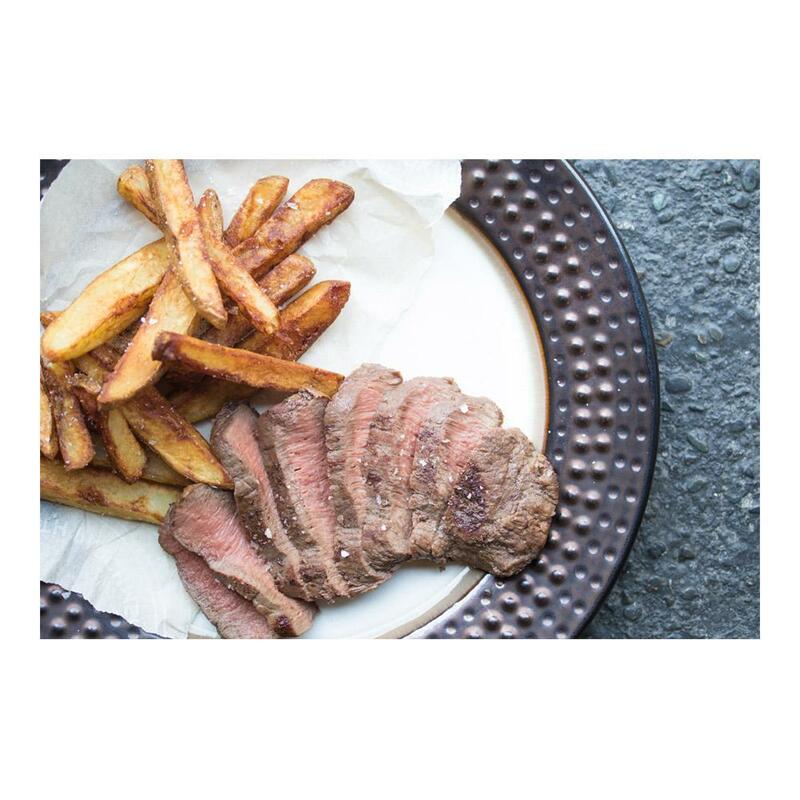 While flat iron meat is delicious – flavorful and quite tender - the muscle has a thick layer of silver skin running through it that must be removed before it can be enjoyed. Because they require more butchery than the prime steak cuts, flat irons offer great flavor & texture at a more affordable price. For a video guide demonstrating how to clean a flat iron, click the “Recipes & Tips” tab. Store fresh flat irons in your refrigerator until you need them. Freeze for long term storage. Store frozen flat irons in your freezer & thaw them before cooking. Because of the thick layer of silverskin that runs through them, flat irons are never prepared whole. Instead they are cleaned & cut into steaks. Once cleaned & cut, flatiron steaks can be prepared as you would other steaks – marinated, rubbed or simply seasoned with salt & pepper, seared, grilled, broiled or cooked sous vide.